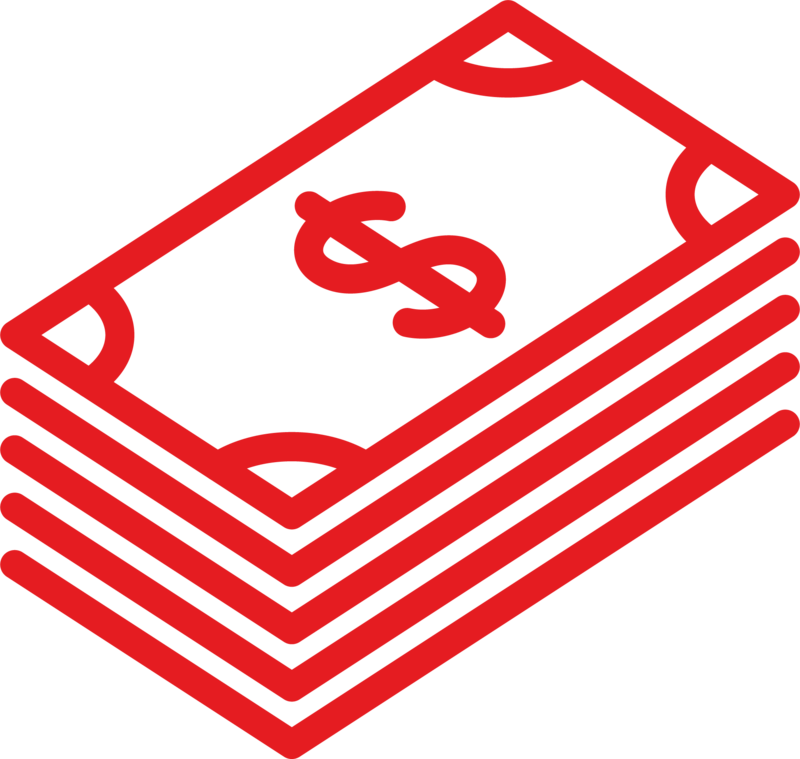 Dubai Duty Free’s sales reached US$880 million, a far cry from the US$20 million in 1984. The Irish Village cemented its place in Dubai life in its tenth year and acclaim for the retailer helped deliver a flurry of new awards. Pride in performance: Dubai Duty Free officials and staff with the Frontier Award for Airport Retailer of the Year, which the company claims for the fifth time. 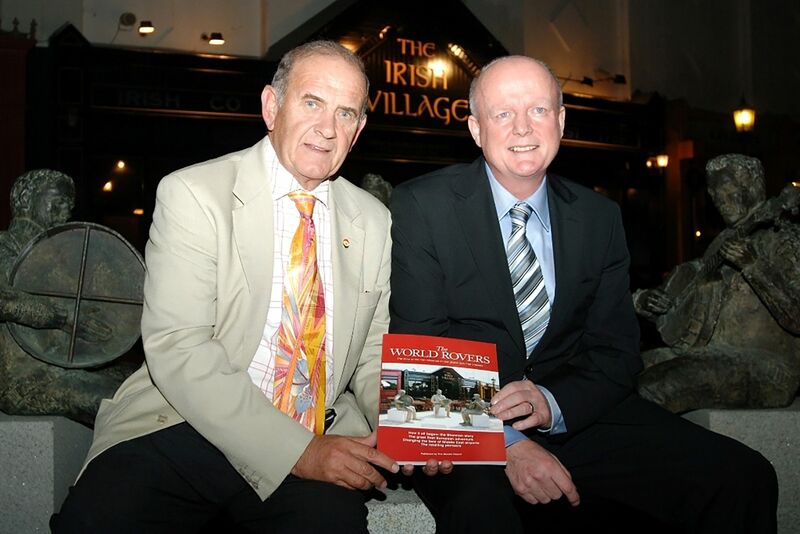 Martin Moodie, Founder and Chairman of The Moodie Davitt Report, presents Colm McLoughlin with the first copy of The World Rovers, co-written with Dermot Davitt, at The Irish Village. 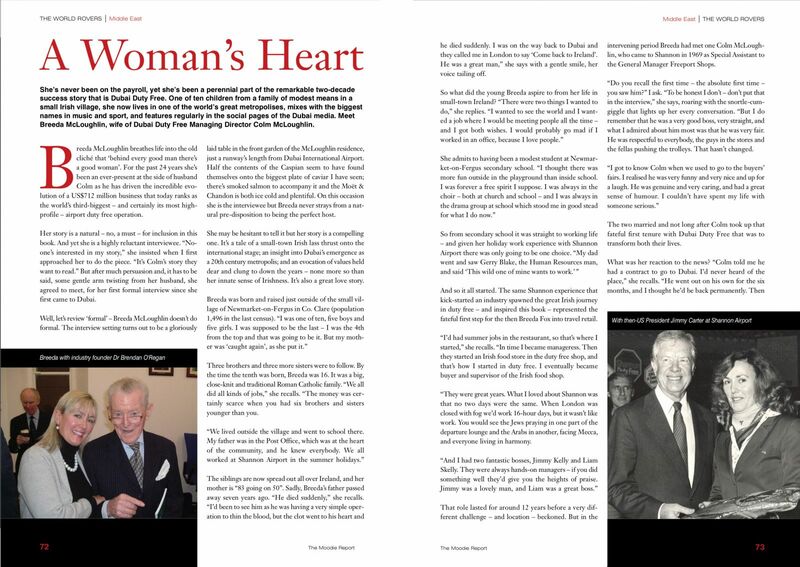 The book chronicles the Irish influence on the duty free industry across the world. 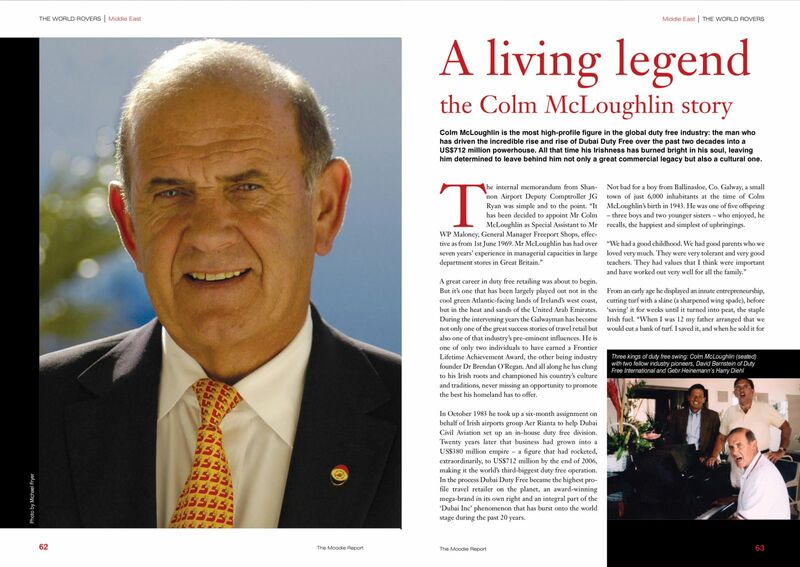 The stories of Colm and Breeda McLoughlin were captured in The World Rovers, as were many tales of Ireland’s travel retail pioneers around the world. Irish Prime Minister Bertie Ahern unveils The Session, a life-sized sculpture of three traditional Irish musicians by Austin McQuinn. 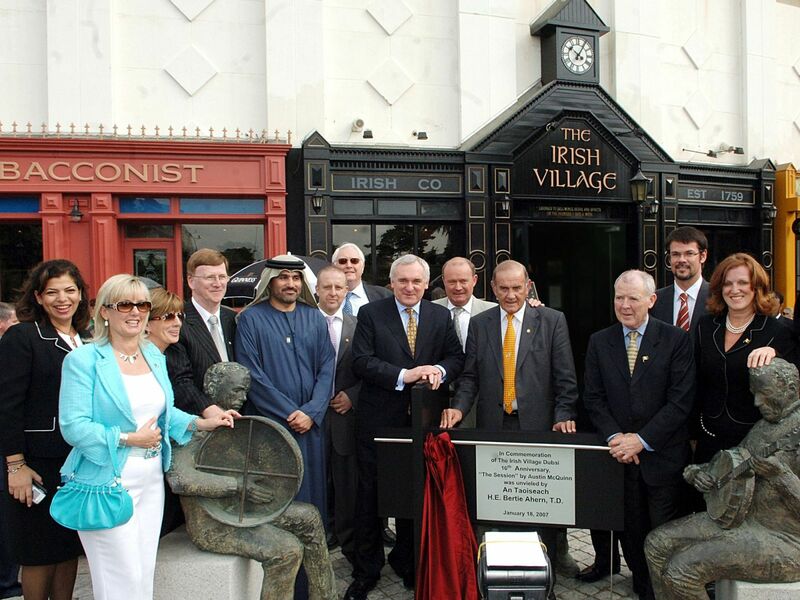 The unveiling takes place at The Irish Village to commemorate the attraction's tenth anniversary, in the presence of senior Dubai Duty Free officials and The Irish Village staff. On top of the world: Roger Federer on a special helicopter ride organised to celebrate his 161st week as World Number 1 in men's tennis. The ride took off from Burj AI Arab’s helipad and flew over some of Dubai’s most famous landmarks including The World and The Palm Jumeirah. Rafael Nadal takes a break in the balmy waters of Madinat Jumeirah, with the Burj AI Arab hotel forming a fitting backdrop. 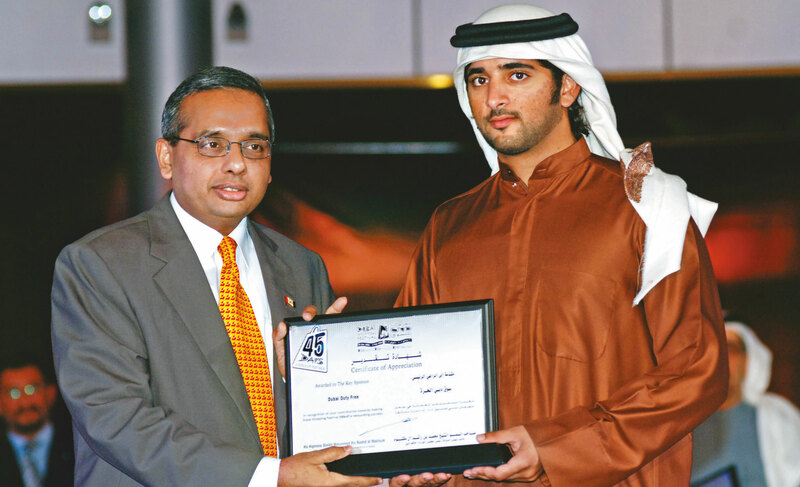 His Highness Sheikh Hamdan Bin Mohammed Bin Rashid Al Maktoum, Chairman of Dubai Executive Council, presents a Certificate of Appreciation for Dubai Duty Free's support to the Dubai Shopping Festival to Director, IT and Logistics Ramesh Cidambi.